While most American travelers are aware that tampering with, disabling, or destroying restroom smoke detectors is a violation of federal aviation law, a shocking new report from the US Department of Justice reveals that such behavior is similarly unlawful in ground-based restrooms as well. 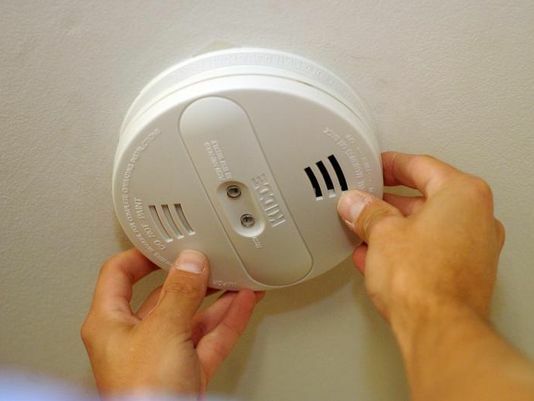 “What a lot of folks don’t realize is that, once you step off an airplane, there are still a remarkable number of statutes in this country that render unprovoked dismantling of smoke detectors illegal,” a Justice Department spokesman said. “In fact, legal precedence has shown us time and time again that wanton destruction of any corporate property is really a no-go in this country,” he added. Consequently, many lawyers advise clients against maliciously breaking assets or equipment – whether cappuccino machines, photocopiers, or handicap-accessible elevators – in local places of business. The federal report did confirm, however, that seatbelt legislation only applies in airplanes, and that seatbelt use is optional when utilizing non-aerial forms of transportation.